Kids become urban explorers, joining cool characters from their favorite Toca apps to discover diverse delights in the big city. This urban playground sparks curiosity about city life and empowers kids to interact with their world. Toca Life: City is a digital playset, similar to Toca Life: Town or My Play Home School. Kids can visit four locations: a hair salon, a mall, a food court, and an apartment. Each location offers different interactions and surprises. Like most cities, this one is full of characters! 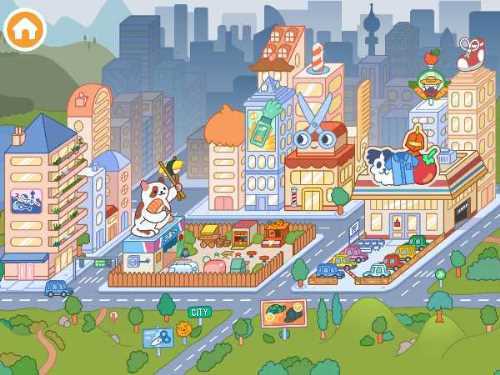 In Toca Life: City, though, many of the 28 characters come from other Toca Boca apps. Even the fox from Toca Nature found his way downtown. 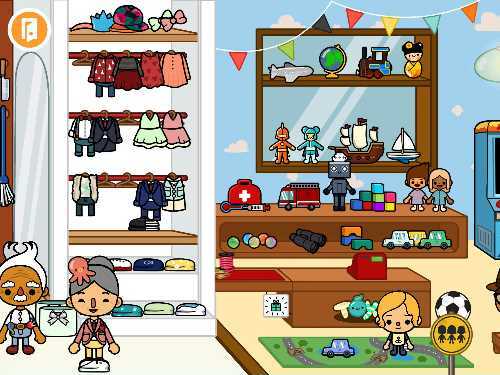 Toca Life: City opens to a bustling cityscape where kids choose a location to explore. Each of the four locations offers a variety of interactions -- the food court has seven different food stalls to try, each with its own music and munchies, while the mall has four different stores. When kids visit a location, some characters will already be inside, and kids can choose to bring additional characters in off the sidewalk. Then, it's time to play. With the taps of exploring little fingers, characters pick up and consume items, lights and music turn off and on, books going flying through the air, hair styles and clothing change, and more. Characters keep the look designed by the player when they exit a scene and move into another location in the city until kids hit the reset button to start fresh. 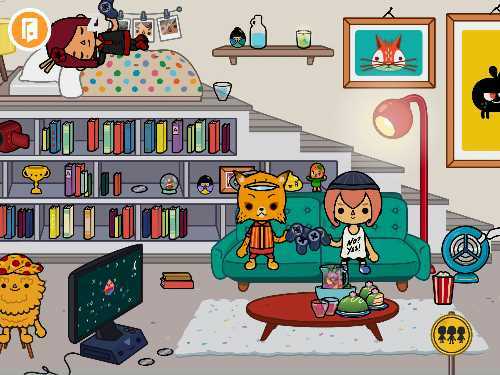 With Toca Life: City, children get a lot of different places to explore with no rules, which is every kid's dream. Touching is not only allowed, it's encouraged! And just like a day of visiting the big city, there's no set agenda -- the goal for kids is just to explore, discover, and delight in what surprises them. 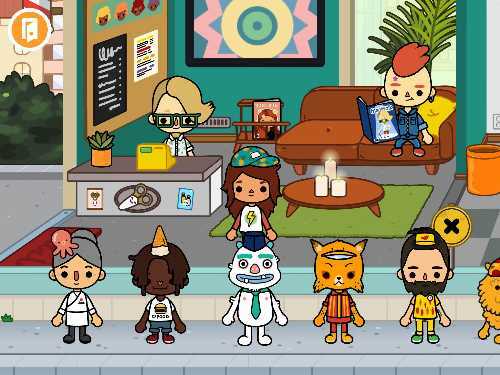 Toca Life: City exposes kids to urban amenities and lifestyles. Kids can sort their recycling at the food court and check out the neat efficiency bathroom located in the loft apartment. Most importantly, kids can enjoy the diversity that abounds in this city full of different kinds of people (and animals), foods, stores, and more. Parents can read the "For Parents" section for tips (including how to turn off the link to the app store on the main page in case kids know how to get through the parental gate). While Toca Life: City brings in characters from other Toca apps, kids won't find the same depth of interaction of some of those apps. Characters can get wacky hairstyles at the salon, but don't expect scissors to cut -- kids will need to check out Toca Hair Salon for that. Kids can fry up a chicken in the apartment, but for true creative cuisine head to Toca Kitchen 2. Instead, kids get a ton of breadth and lots of little surprises scattered throughout a big city. Toca Life: City is a great way to whisk your child away for a digital field trip. It also is a good app to download before going on a road trip. While kids are stuck in the backseat, they'll enjoy the independence and power of exploring the city. 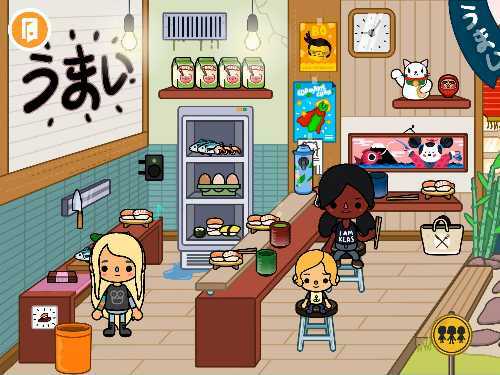 Toca City also encourages kids to think about diversity in places, people, and lifestyles. Destinations (and even rest stops) can become opportunities to notice what's different from back home, what's the same, and to start wondering why. 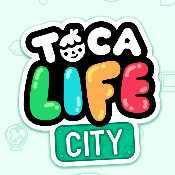 This Toca Life: City app review was written by Liz K. McKinney.